Does your cat seem a little off lately? Many felines will hide any obvious signs of illness—it’s a survival instinct—so it can be hard to tell for sure. Here’s a quick guide that can help you figure out if your cat is sick. Because cats don’t show pain or illness the same way people do, it’s important to pay close attention to their behavior. Regular vet check-ups help keep your cat healthy. You should also schedule a trip to the vet if you notice any of these signs your cat might be sick. Eating less—or more—than usual might be a sign that your cat is sick. A quiet cat that suddenly starts meowing a lot, or a chatty cat that turns quiet, might be dealing with an illness. Cat-food breath is normal. But a strong, very unpleasant odor isn’t. Get your cat checked out if you notice something extra fishy. Likewise, if your typically aloof cat starts demanding a lot of attention, he or she might be trying to “tell” you that something’s wrong. Cats like to keep themselves clean. If yours starts neglecting the job, something might be wrong. 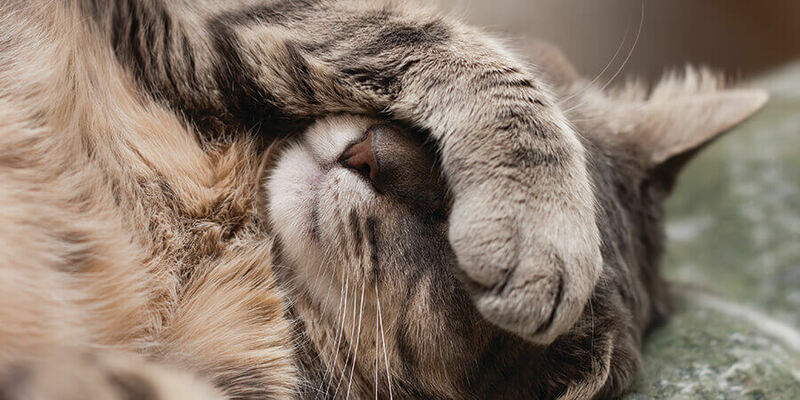 Over-grooming, like licking or chewing the same spot repeatedly—possibly causing hair loss or skin irritation—can also be a sign of a sick cat. Many cat owners assume that litter box problems are strictly behavioral, but in fact, a cat who starts going outside the box might have a medical problem. Schedule a visit to the vet before you move on to behavioral solutions. Read this for more on solving litter box problems. What to do if you think you have a sick cat. If you suspect your cat is sick, don’t take a “wait and see” approach. He or she might be fine, but it’s best to get a checkup from the vet to be sure. Most common feline illnesses are completely treatable—and the sooner you catch them, the sooner your sick cat can get back to normal. IS YOUR CAT SUDDENLY GOING OUTSIDE THE BOX? Does your cat seem sad lately? 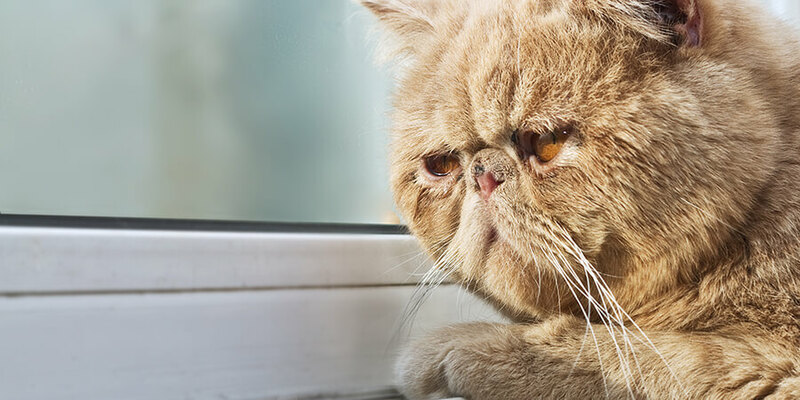 Believe it or not, the same things that make people sad—boredom, loneliness, even seasonal changes—can put cats in a lousy mood, too. Luckily, a little special attention and a few easy tricks are all it takes to cheer up most sad cats. 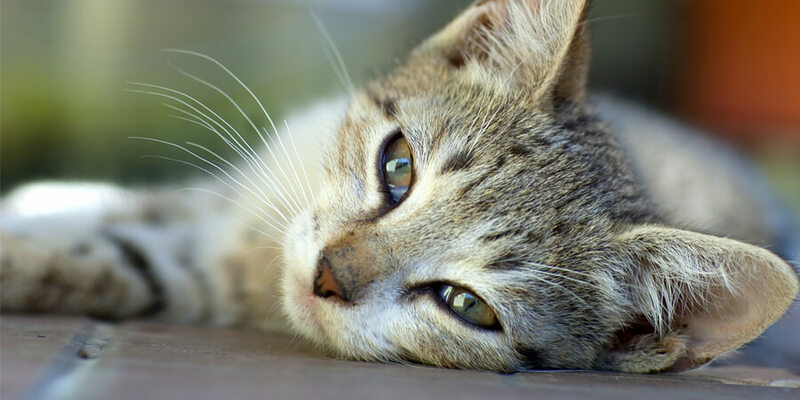 Follow these tips, and your cat will be purring again in no time!